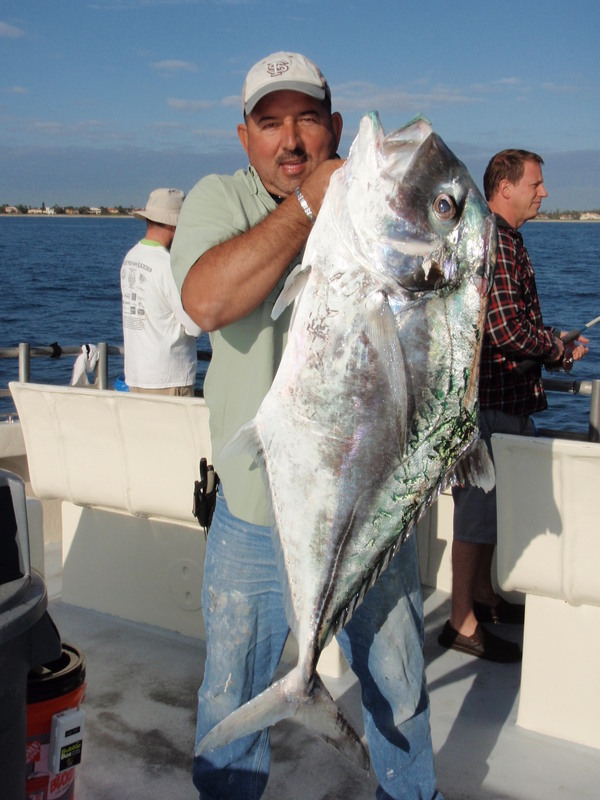 VIP angler Roberto caught this beautiful 44 pound African Pompano after switching from a dead sardine and trying a shrimp fished on the bottom. Other anglers caught Black Grouper, Gag Grouper, Scamp, Graysby Grouper, Yellow-tail Snapper, Gray Triggerfish and large Porgies during the morning trip aboard the Lady K. Nice catch Roberto!! Anglers fishing at night have been taking Lane Snapper, Bluefish, small Sharks, Banded Rudderfish, Grunts, and releasing many Blue Runners. The Lady K will be sailing this New Year’s Eve. Try a four hour night time fishing excursion this New Year’s Eve, something different that the entire family can enjoy, please note that there is a three beer per person limit and we hope everyone has a very safe New Year’s Eve.